Many professional photographers advise to always keep a camera handy. That certainly proved to be good advice when we traveled in Arizona last Fall. 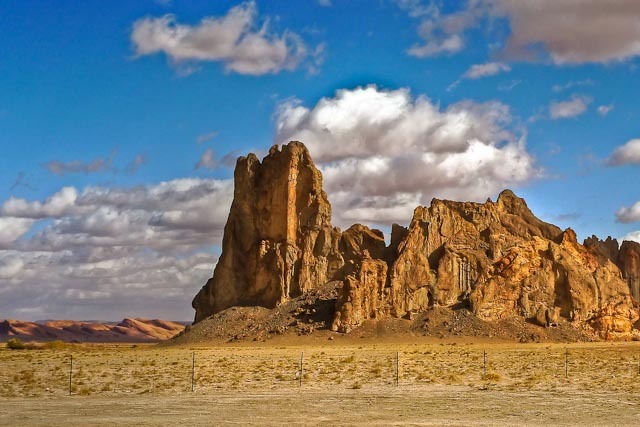 I usually keep my Panasonic Lumix LX3 in my vest or jacket pocket while driving, and that made it easy for me to snap some shots out the car window (after stopping of course) while driving through the Navajo Reservation. There is so much to see out there, it often seemed like I spent more time stopping to take a picture than I did driving. I developed this 12.8mm, f8, 1/640 sec photo as a single image HDR in Lightroom 2.6. There was a big dust storm brewing at about 10AM (dark clouds upper right). Later that day, the blowing dust was so bad we could not get out of the car to take a photo even if we wanted to. Not a fun experience.